I want to raise awareness about ovarian cancer and share a positive message. I want to encourage people to talk about cancer, and not to shy away from the topic. My way is to focus on the future by creating My Survival List, a list of things I want to do to fulfill my dreams, starting now. ​I hope my blog could serve as an inspiration to others to start fulfilling dreams and not to wait. I look forward to stay connected. 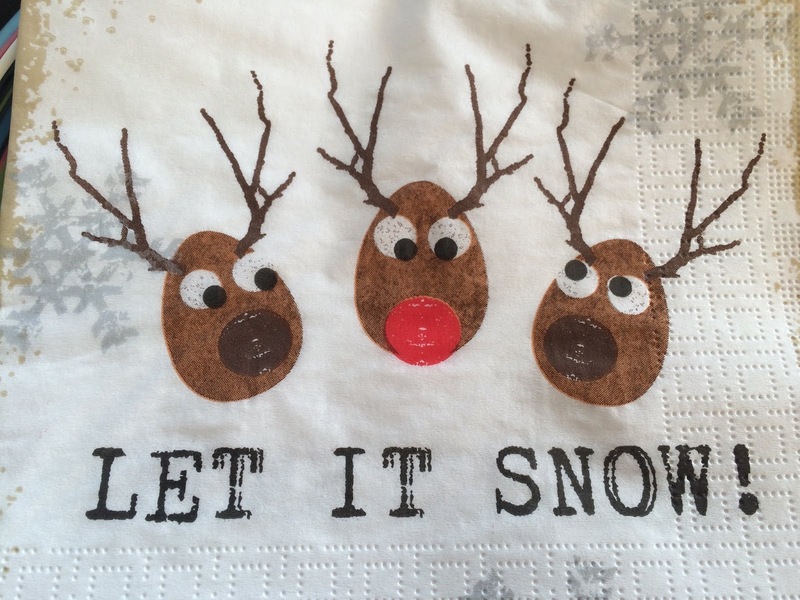 Most people find Christmas traditions important and want everything from food to decorations to remain the same year after year. 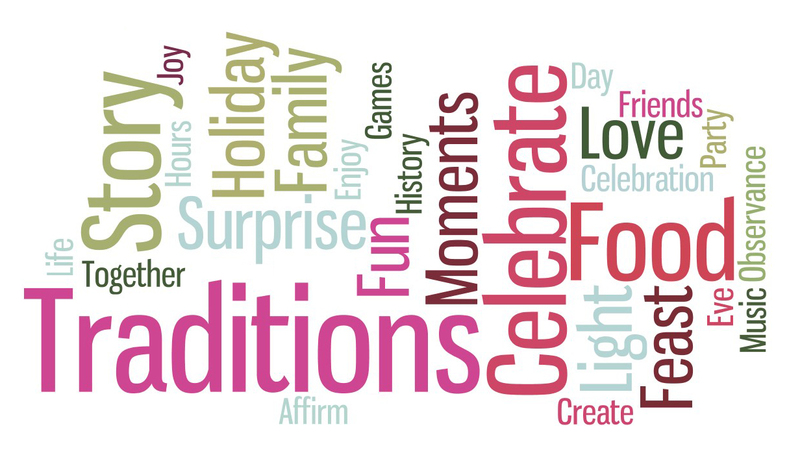 Traditions give us a sense of belonging and a way to express what is important to us. They also connect us over generations and make each family unique and special. In my family, we have created a gingerbread baking tradition that since many years is deeply rooted in all four of us. I believe we all feel that there would be no real Christmas, unless we meet with our good friends and bake gingerbreads. 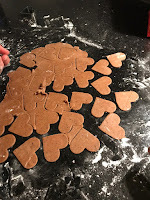 It started already in 1995 when my husband and I, plus two other couples met over a weekend to bake gingerbreads, enjoy good food and wine, socialize and enjoy each others company. At that time we were in our late twenties or early thirties, had just married and one couple had even had their first child. Over the years the number of participants have expanded from the original seven to somewhere between twelve and eighteen depending on how many kids that attend and if they come with or without their partners. For the last couple of years we have met at one couple's home in Nävlinge in South Sweden, since that is a convenient location for everybody. 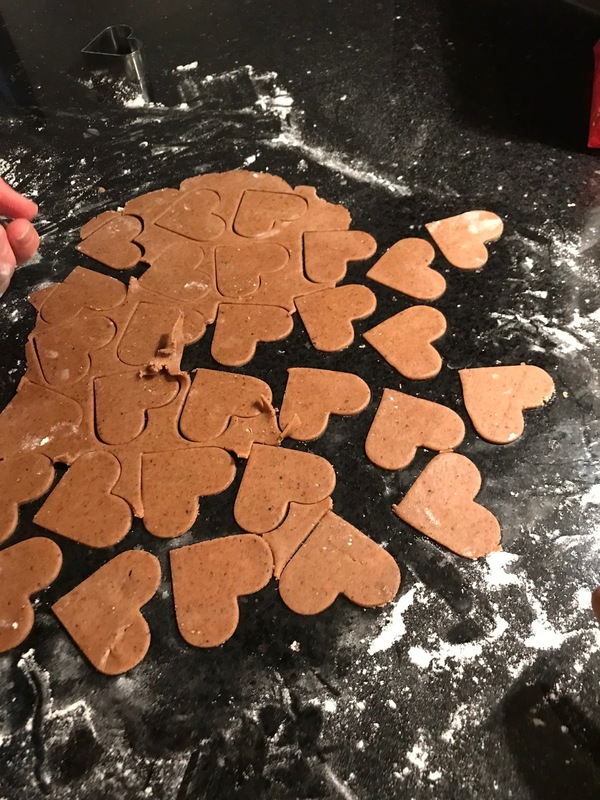 It is amazing that we have managed to maintain our gingerbread baking tradition, with all the things that happen in people's lives such as births, moves, divorces and new partners. Last weekend we met for the 24th consecutive time! My participation last year was limited as I was ill and slept through most of the weekend. Later it turned out that the cancer was the root cause, but at that time I just felt bad that I could not participate the way I wanted. Therefore, it became even more important for me to be able to join this year, and I definitely wanted to have our gingerbread baking on My Survival List. As every year, the dough is homemade using a grandma's old, special recipe. When we bake, we make plenty of gingerbreads. This time we baked for 2.5 hours and filled 57 baking trays. We all like thin and crispy cookies and the bottle neck is always the rolling. If not thinly rolled the gingerbreads will be too thick and not as tasty. As many of us are engineers, we have obviously found a way to speed up the process by using a pasta machine to thinly roll a large quantity of the dough. Mass production is surely possible. 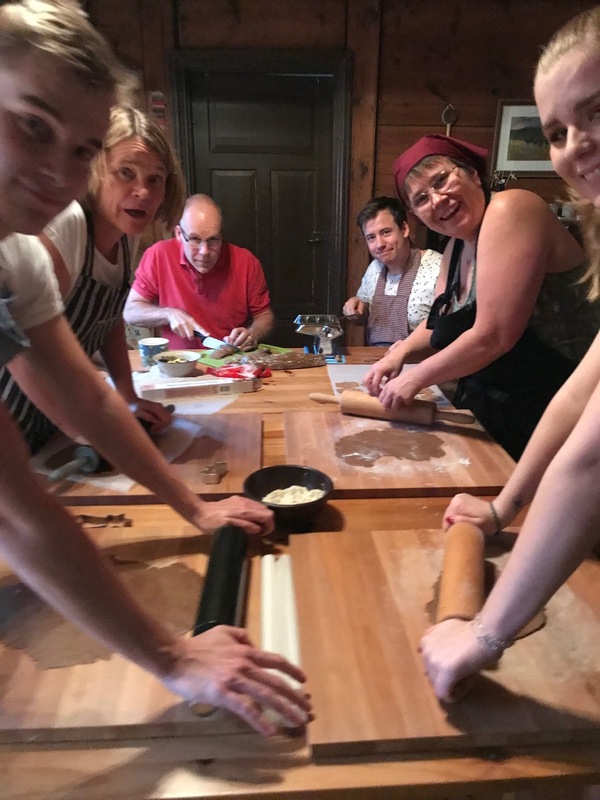 The baking is of course important, but it is indeed a social event with plenty of laughs, deep and interesting conversations, walks, tasty food and wine; everything enjoyed among close friends. Action 39 is completed, and I really look forward to our 25th anniversary next year! Next week, one year has passed since I got my cancer diagnosis, and my life took an unforeseen and totally unexpected turn. At the very moment, when my oncologist explained all about my tumor, something changed forever, and ovarian cancer became part of my life. Well, to start with, it was not only part of my life, it directed and determined what had to be done in order for me to survive. Now one year later, after my treatments have been successful and I have reached, what every cancer patient dreams of, remission, I try to adjust to my life after cancer. My cancer came out of the blue, without warning and without any symptoms, but a tenacious cough. I did not fit into any of the common risk groups that increase ovarian cancer probability, such as age, obesity, smoking or genetic predisposition. According to my oncologist I was one of them who just had bad luck. 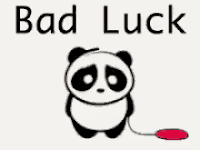 I have tried not to dwell too much about my bad luck, as I believe it is pointless. It is what it is and I can only look forward and focus on making the best out of every day. 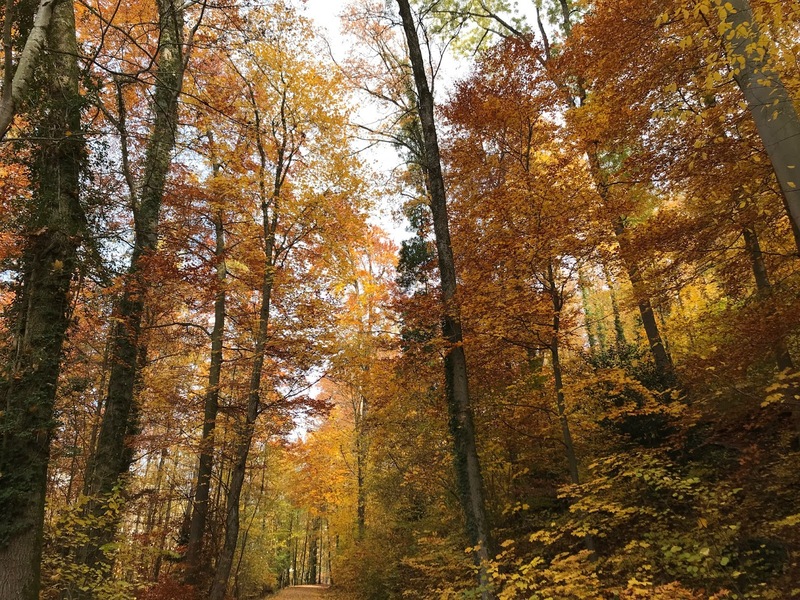 Given my unexpected diagnosis, I have longed for getting back the familiar feeling of stability, that there is some sense of predictability about my life. However, I have come to realize that it has forever changed, and the wish for a return to stability and predictability has just been wishful thinking. Cancer will be part of my life for many years to come, since I will have to do scans every third month and will be faced with the relapse fear over and over again. When I was diagnosed, I was abruptly pulled away from a fully active and intense working life that took me all around the globe. All of a sudden, my every day life was spent in a much smaller world, mainly at home, dealing with a potentially deadly decease. At first it was extremely difficult to grasp that I was severely ill, as I felt and looked the same, as the day before I was diagnosed. After having had my surgery in January, it however became obvious how ill I really was. Right now I am trying to figure out how I want my life after cancer to be. Earlier, I took my health more or less for granted, but for sure I will need to give my health top priority moving forward. 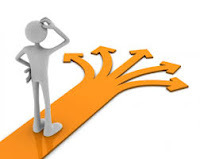 I am currently uncertain how I want to design, what my doctors and other cancer survivors call, the "New Normal" i.e. life after cancer. I do know I want to spend more time with family and friends and that I want to continue working my way through the activities on My Survival List. I am positive that I will find my New Normal, one way or another. I guess, the best approach is to take it step by step and make sure I first fully recover. With Christmas and New Year's celebrations coming up, I will for now focus on enjoying the holiday season with my family! Both my daughters are excellent horse back riders, however their skills definitely do not come from me. 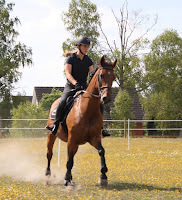 I am a lousy rider and somewhat scared of horses. My contribution is being an enthusiastic supporter and driver. When we lived in Sweden, my daughters and I used to go to the International Horse Show in Stockholm every year. We enjoyed watching the best riders in the world compete in dressage and jumping and, of course, seeing the magnificent horses. We have maintained the tradition also after moving to Switzerland, by going to the Zürich Horse Show. Due to my surgery in January, it was not possible for me to join my daughters this year. When I realized we could go to the show in Stockholm and get back to our old custom, I booked tickets and off we went! At the event this year, I was most impressed by the dressage, where the world's top ten ranked dressage riders competed. We watched the Grand Prix kür, the riders' freestyle program with music. It was fascinating to see the horses' movements choreographed to perfection with the music. Each rider had chosen a different type of music, with everything from rock to tango and classical music. The German world- and olympia champion Isabell Werth, with her horse Weihegold, was outstanding and won after an amazing ride. 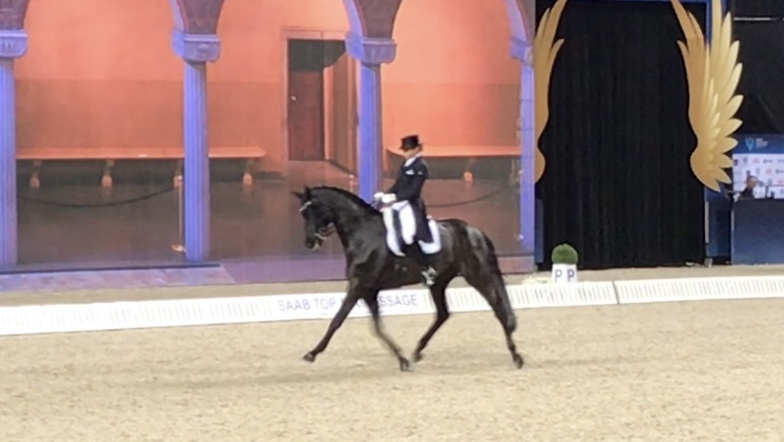 We also got to see the best ride ever done by a Swedish dressage rider, when Patrik Kittel and his horse Delaunay finished second. Overall, a great day and I am happy to have completed action 38. 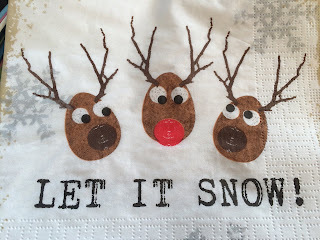 One of the biggest changes, after having gone through my life saving surgeries and treatments, has been the appreciation and gratitude for, what could be viewed as, small and simple things. Yes, even things you tend to take for granted, such as taking a walk in the nature or spending time with family and friends. My priorities and focus have also shifted towards here and now, and not putting off activities for "some day". I see this clearly when looking at My Survival List, where I have listed several fairly simple activities, such as having the opportunity to hang out with good, old friends or doing various activities with my family. My plan, certainly is, to make my listed things happen now and not in a distant future. 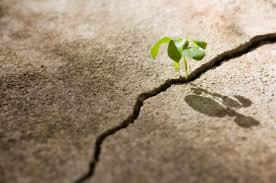 Last week, I learnt that there is even a medical term for, what I am experiencing: Post-Traumatic Growth. The psychologists Richard Tedeschi and Lawrence Calhoun developed this theory, explaining a positive transformation following a life threatening trauma, in the mid-1990s. According to Tedeschi "People develop new understandings of themselves, the world they live in, how to relate to other people, the kind of future they might have and a better understanding of how to live life". I definitely agree, this is what I am experiencing! 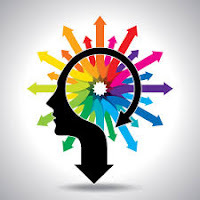 I learned about Post-Traumatic Growth from my psychiatrist, saying that typical traits for people more likely to experience Post Traumatic Growth are openness to experience and extraversion. It is of course positive to know that an extremely negative and traumatic experience such as a severe cancer diagnosis, could lead to something positive. 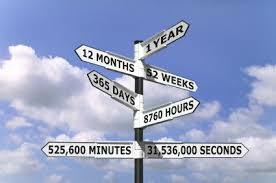 Regardless of that, I would trade my cancer diagnosis every day, every hour and every second. Yesterday, I got to do one of these simple, but so precious things: Christmas baking with my eight year old niece and nephew. 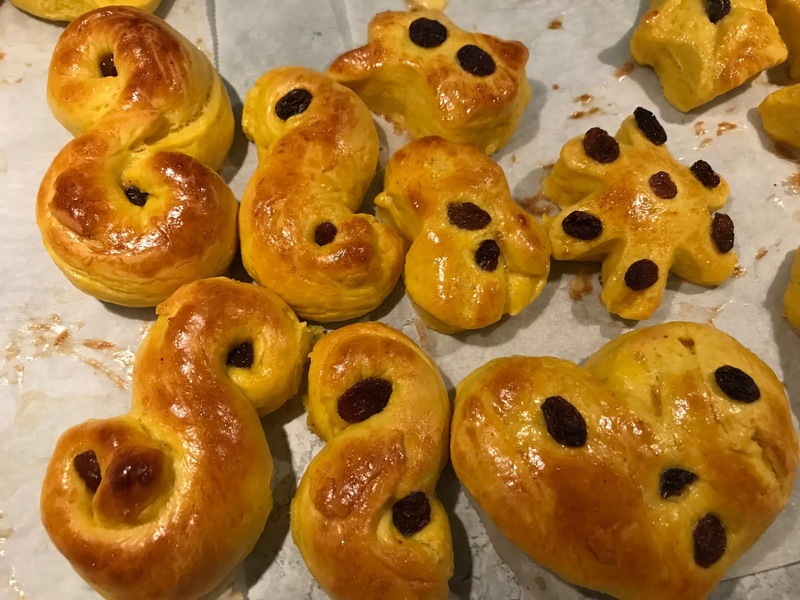 We baked the Swedish sweet rolls (lussekatter) that are a must for every Swede during the Christmas season. The rolls are flavored with saffron and decorated with raisins. 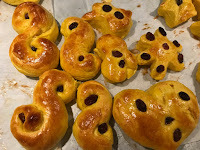 A traditional lussekatt is S-shaped. The fun part of baking with kids, is that they do not follow any traditional way, they shape the rolls the way they feel like. This time my niece and nephew made hearts, turtles, snowmen and many other different shaped rolls. We had a lovely afternoon and completed action 42. Cancer affects your body, but no matter where you have your cancer it will eventually get to your mind. A cancer diagnosis turns your life upside down and it is a nightmare to be confronted with a potentially deadly disease. The mental impact of cancer is something not so often discussed, as the focus is mostly on the more obvious physical side with surgeries, chemotherapies and other treatments. In my case, being a fact based, target focused, optimistic person, I did not think too much at the start of my cancer journey. I was so focused on doing, doing and doing, which consumed all my energy. Having a major surgery, recovering, going through chemo cycle after chemo cycle, staying strong and trying to get rid of the cancer cells destroying my body from the inside. It was not until the end of my chemotherapy treatment that I had energy to spare, and could allow myself to think and grasp what my situation really was: stage 4 ovarian cancer. That was a tough realization and I got scared of what would happen, whether the treatment had been successful, if I would survive and for how long. This led to a lot of pointless googling, which only made things worse. Many people find it difficult and almost tabu to talk about psychological matters. I consider myself a mentally strong person and have lived a relatively easy and straightforward life, not needing psychological support before. I have no problem openly saying that I needed professional support in how to handle my new reality. My loving family has been the best in all aspects, and I have discussed the whole cancer shebang, especially with my husband. Nevertheless, I concluded that I needed to talk to somebody, who did not know me inside and out and who was an expert in the field. My oncologist recommended a psychiatrist specialized in psycho oncology, i.e. focused on supporting cancer patients. My psychiatrist turned out to be excellent and of tremendous help for me to process and come to terms with my new reality. There is no scientific evidence that optimistic and positive persons have better chances to survive cancer. However, I believe hopefulness and a positive mindset are important components for quality of life during and after cancer treatment. A strong sense of hope is also a prerequisite to live with a disease like cancer, to get through the rigors of treatment, to navigate the complex health care system, and to fend off society’s negative views about cancer as a death sentence. My treatment had not been finished, and I did not know whether it had been successful or not, but I decided to view myself as a cancer survivor. I know it might sound silly, but for me it was a mental game changer, as I, in my mind, had survived. It did work for me and I felt more optimistic about the future. I decided to search for inspiration to see what other cancer survivors had done to live a fulfilling life. 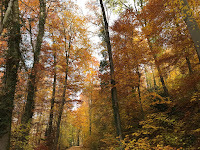 I found Greig Trout's webpage, realized that was the right approach also for me and started compiling My Survival List. That I would start a blog was not self-evident, as I normally do not like to share my private sphere. However, having family and friends all over the globe, I viewed it as a good way to give updates of my situation. In addition, if my story and thoughts during my cancer journey could serve as inspiration or motivation for one person only, that would feel exceptionally good and rewarding. The Rite of Spring is a ballet and orchestral concert by the Russian composer Igor Stravinsky. 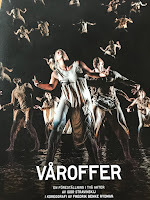 Last weekend, I saw the production at Stadsteatern in Stockholm, Sweden. I first heard about this performance when a colleague sent me a short film from the rehearsals of the first act. At that time I was still in chemo treatment and not in the best shape. The film clip was captivating, and I decided that I wanted to see the show when I got better. The first act is a newly composed duet between an ABB industrial robot and Henrik “Benke” Rydman, a renowned Swedish choreograph and dancer. 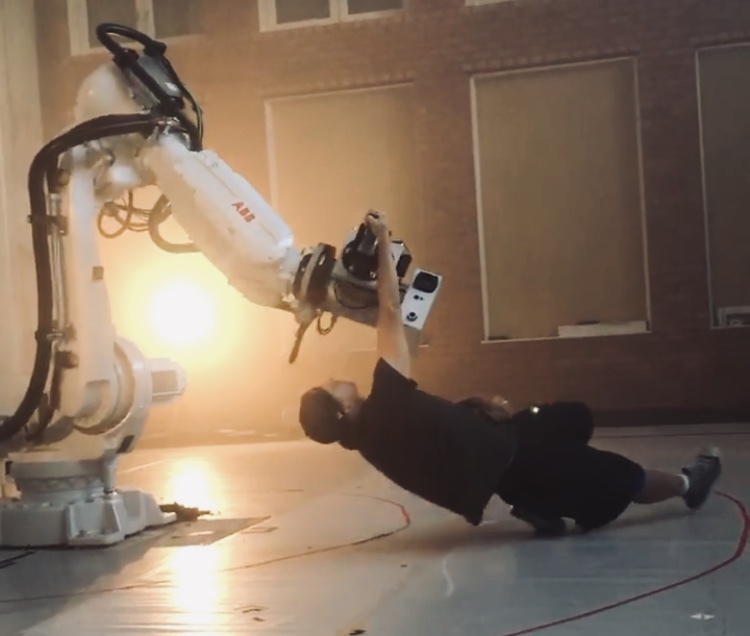 The robot is normally used in the industry, mainly for welding and material handling, but in this performance it turns out to be an excellent dance partner. I found it a very cool and fascinating way of showcasing human and robot collaboration, and it felt almost like the robot was a person. For me, who has worked with robots and technology all my life, it was also interesting to see how the latest software technology had been utilized, to enable the dancer to safely coexist in the same space as the robot. The Rite of Spring is considered one of the greatest works of the 20th century, a ballet so revolutionary it is said to have caused a riot at its premiere in Paris 1913. 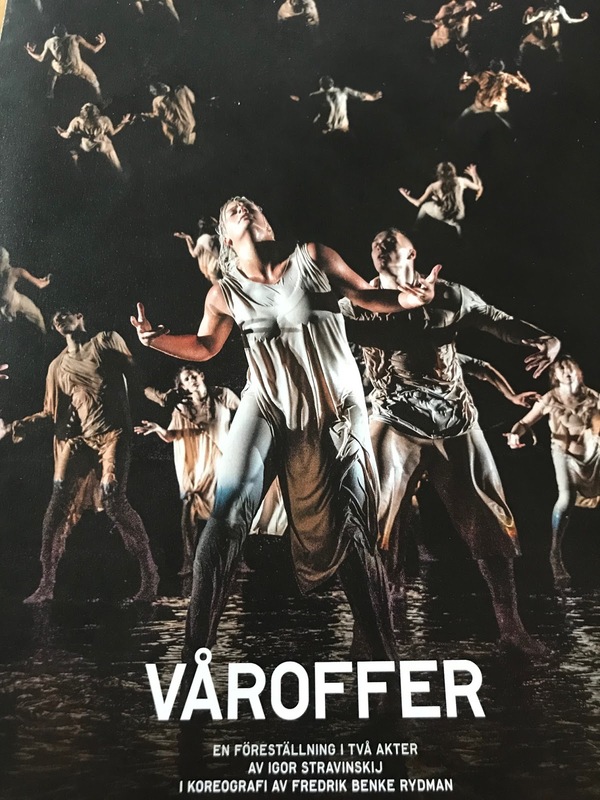 The production in Stockholm is a street dance version of the Rite of Spring (Våroffer in Swedish) with twenty dancers and a lot of water! No riots have been reported yet, but it is a fantastic show. Very powerful and moving performance, about the circle of life. No surprise it has been sold out since the beginning in August. Thank you Joakim for booking tickets, and thank you Marie-Louise and Hans for a lovely evening! I am very fortunate to have you as friends.